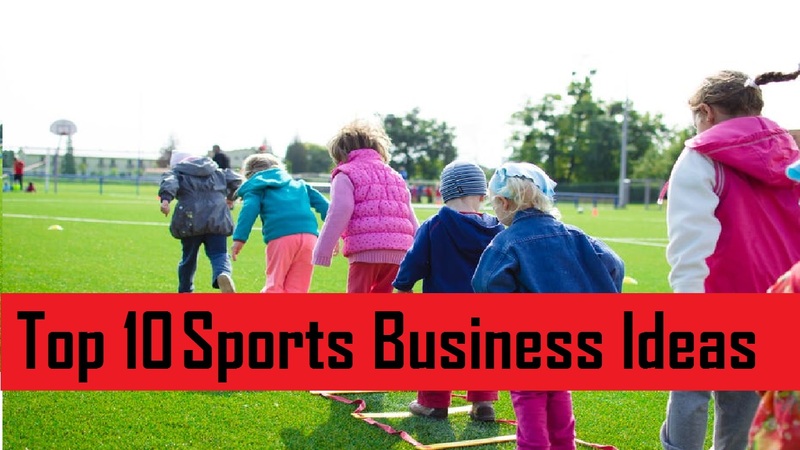 If you think about starting a professional in the business sector, you should consider as a potential business sector in the sports industry. A good thing about sports business is that you can start it in a small store in your city or market. Your enthusiasm, creativity, and good business management skills can help you to reach a grand success. You can establish a manufacturing company to earn money from this industry. Also starting your business by apart to sports promotion for any sports clubs, supply sports equipment, and advertisements etc. There are many types of organizations in the sports industry if you want you can start an association with any one organization. To earn money, there are several opportunities in the sports industry, I will try to give out such 10 sports business ideas. If you are a trained sports journalist, enough to edit a sports magazine. You can run this business easily to stay anywhere in the world. The number of people who read sports news and kept up to date is not low. It is possible to improve your business through. A good graphics expertise and a commercial network can ensure the introduction of football jersey customizing business. Followers of football will be your business customers around you. You can set up a business by customizing Jersey of European clubs like Real Madrid, FC Barcelona, Bayern Munich, Arsenal, Manchester United, Chelsea, AC Milan, Inter Milan, PSG, Juventus, Manchester City, and Liverpool etc. Sports business may start around any event. For example, in the Indian subcontinent sports events can be cricket. The US basketball or American Soccer and if the city is in Brazil or Argentina, then a football related shop can be started as a sports event. This means that you can start a sports-related shop on the center of popular games. You can start ball manufacturing business by producing various football, tennis ball, basketball, volleyball, hockey, and Rugby ball for children. If you can lead the business well, then you can start various events of Fifa and start producing football and other sports goods like Nike, Adidas, and Puma etc. The demand for the ball is wide around the world. It is a potential business idea. There is no alternative without a gym to keep the fit human body. And now people are very aware of this issue. You can start this in your home. Buying some of the equipment which needed for the gym can be easily started. To start a Gym center some capital is needed, but can also earn a lot of money. Being a health conscious person, a gym center is very important for fitness. Cycling is a sport that people do for fun and exercise. If you decide to start a sports-related business, you can open a cycling club. This cycling club can be started for both children and adults. For young entrepreneurs, this may be a motivational business field. If you want to earn money from a sports-related profession then you can be a sports photographer. If you are a registered and licensed photographer, you can earn money by selling good quality international sports photos. If you love sports and photography, it can be fruitful for you. Camping is a very important matter for any kind of sports. Camping may be weekly or long time. Experience is needed to start this business. You can build local players with the presence of players and different facilities. Indeed, this is another good business ideas in the sports industry. If you are always searching for international and local games, you can also choose to make money by updating all the information in the social media game. You can also start by updating information of any league, team or player. This is the most profitable business ideas with the small investment. Indeed, the basketball is a popular game close to both children and adults. The first choice of any entrepreneurs that could be a basketball club as a profitable business. You can open a kid’s basketball club by targeting the kids and the parent and run the campaign. Registration and license are very much needed to start a Basketball kids club.